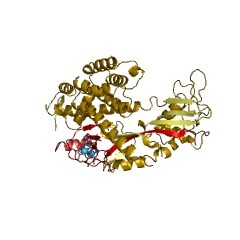 This is the neddylation site of cullin proteins which are a family of structurally related proteins containing an evolutionarily conserved cullin domain. 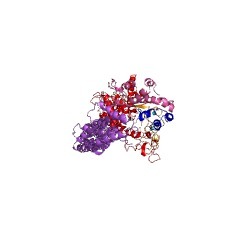 With the exception of APC2, each member of the cullin family is modified by Nedd8 and several cullins function in Ubiquitin-dependent proteolysis, a process in which the 26S proteasome recognises and subsequently degrades a target protein tagged with K48-linked poly-ubiquitin chains. 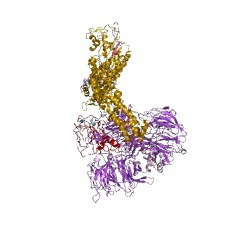 Cullins are molecular scaffolds responsible for assembling the ROC1/Rbx1 RING-based E3 ubiquitin ligases, of which several play a direct role in tumorigenesis. 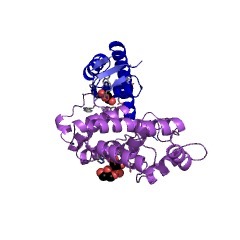 Nedd8/Rub1 is a small ubiquitin-like protein, which was originally found to be conjugated to Cdc53, a cullin component of the SCF (Skp1-Cdc53/CUL1-F-box protein) E3 Ub ligase complex in Saccharomyces cerevisiae, and Nedd8 modification has now emerged as a regulatory pathway of fundamental importance for cell cycle control and for embryogenesis in metazoans. 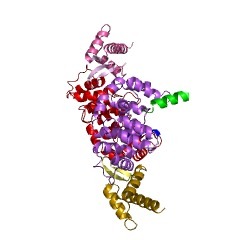 The only identified Nedd8 substrates are cullins. Neddylation results in covalent conjugation of a Nedd8 moiety onto a conserved cullin lysine residue. 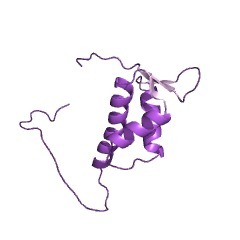 This is the neddylation site of cullin proteins, which are a family of structurally related proteins containing an evolutionarily conserved cullin domain. 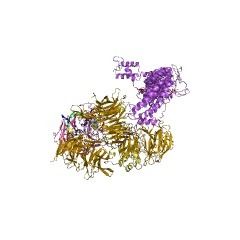 With the exception of APC2, each member of the cullin family is modified by Nedd8 and several cullins function in Ubiquitin-dependent proteolysis, a process in which the 26S proteasome recognises and subsequently degrades a target protein tagged with K48-linked poly-ubiquitin chains. 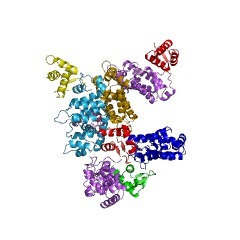 Cullins are molecular scaffolds responsible for assembling the ROC1/Rbx1 RING-based E3 ubiquitin ligases, of which several play a direct role in tumorigenesis. 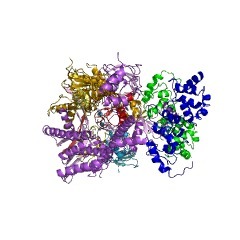 Nedd8/Rub1 is a small ubiquitin-like protein, which was originally found to be conjugated to Cdc53, a cullin component of the SCF (Skp1-Cdc53/CUL1-F-box protein) E3 Ub ligase complex in Saccharomyces cerevisiae (Baker's yeast), and Nedd8 modification has now emerged as a regulatory pathway of fundamental importance for cell cycle control and for embryogenesis in metazoans. 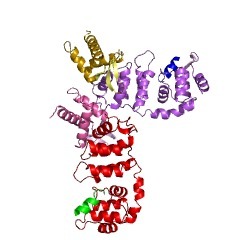 The only identified Nedd8 substrates are cullins. Neddylation results in covalent conjugation of a Nedd8 moiety onto a conserved cullin lysine residue [(PUBMED:15021886)]. There are 7316 Cullin_Nedd8 domains in 7303 proteins in SMART's nrdb database. Taxonomic distribution of proteins containing Cullin_Nedd8 domain. This tree includes only several representative species. The complete taxonomic breakdown of all proteins with Cullin_Nedd8 domain is also avaliable. Click on the protein counts, or double click on taxonomic names to display all proteins containing Cullin_Nedd8 domain in the selected taxonomic class. 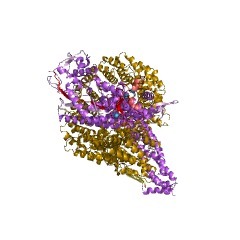 Nedd8 on cullin: building an expressway to protein destruction. This review summarizes recent advances concerning the Nedd8 regulatorypathway in four areas. 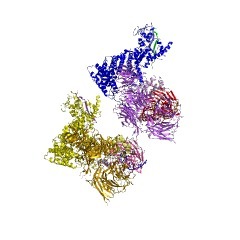 One, substantial progress has been made indelineating the role of cullin family proteins, the only known substratesof the Nedd8 modification system. 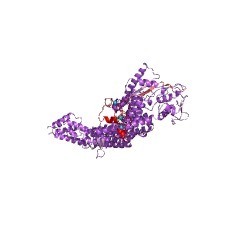 Cullins are molecular scaffoldsresponsible for assembling the ROC1/Rbx1 RING-based E3 ubiquitin ligases,of which several play a direct role in tumorigenesis. 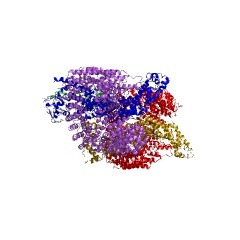 Two, a large body ofwork has helped elucidate the molecular details underlying the Nedd8modification reaction, which results in covalent conjugation of a Nedd8moiety onto a conserved cullin lysine residue. Three, studies using avariety of genetic model systems have established an essential role forNedd8 in cell cycle control and in embryogenesis by upregulating theactivities of cullin-based E3 ligases. 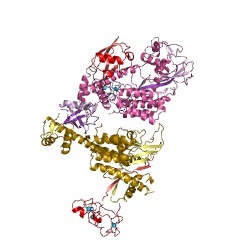 In vitro experiments have revealeda direct role for Nedd8 in activating ubiquitination. 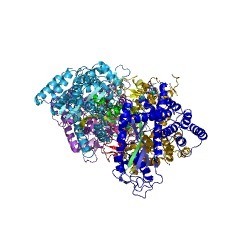 Construction of amodel of the ROC1/Rbx1-CUL1-Nedd8 structure suggests a mechanism by whichthe cullin-linked Nedd8 may assist the neighboring ROC1/Rbx1 in landingand positioning the E2 conjugating enzyme for the ubiquitin transferreaction. Finally, increasing evidence indicates that removal of Nedd8from its cullin targets, by the action of COP9 Signalosome and possiblyother proteases, plays a significant role in the regulation ofcullin-mediated proteolysis.